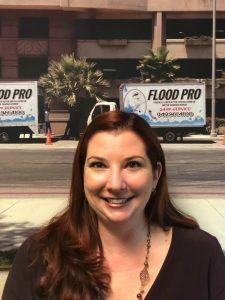 I have over fifteen years property management experience and am excited to join the Flood Pro team! My previous experience has been managing multiple Home Owner’s Associations and Apartment Communities. I was born and raised in Texas and relocated to California in 2009 after traveling all over the country with my family who served in the Air Force. I have two wonderful kids and enjoy cooking with my family, going to the beach, and Disneyland in my spare time.